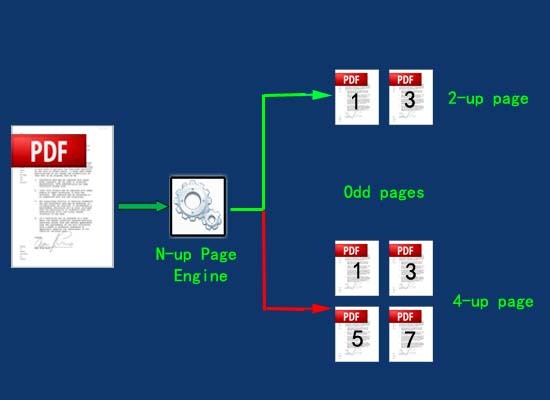 How to convert only odd pages of PDF file to 2-up or 4-up page PDF? Is there any way to extract odd pages of PDF and then convert them to 2-up or 4-up page file? 4. Click "N-Up Page…" and define output path to publish new PDF with only odd pages of original PDF. PS: This program also allows you to batch convert multiple PDF to N-Up page file.